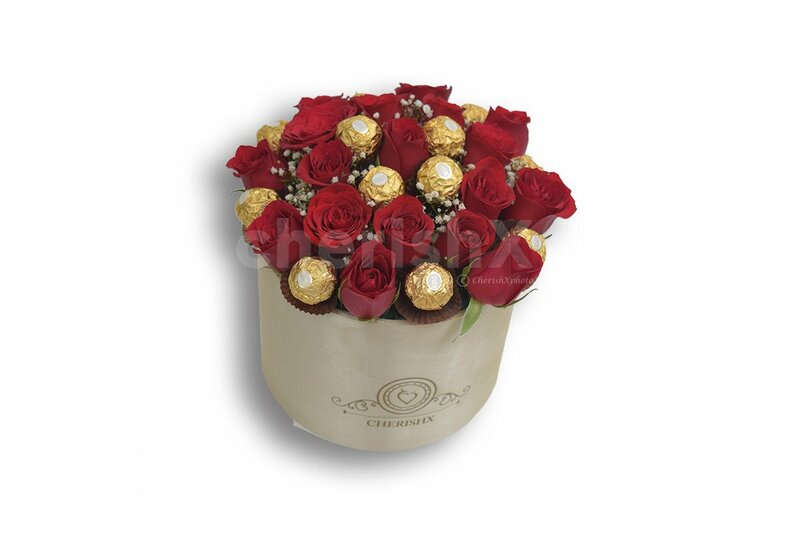 Love packed together in the form of a gorgeous flower bucket full of red roses and Ferrero Rocher Chocolates. It’s that time of the year again when you make your loved one feel special. And what better way to do that than roses and chocolates. What if we told you you can club the two together and have the best of both worlds? Because with CherishX you can! 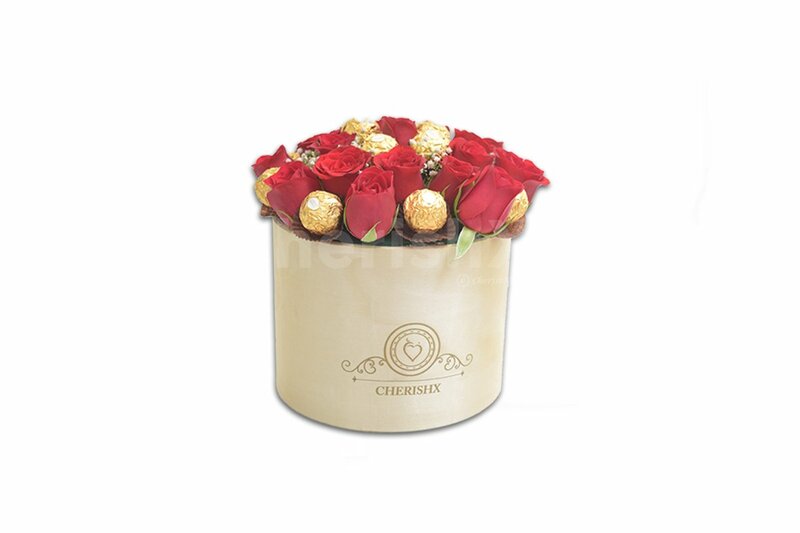 We bring to you an exclusive and luxurious bucket of 18 beautiful roses and 12 delicious Ferrero Rocher Chocolates. The arrangement is set in an elegant and classy golden-cream coloured bucket with delicate white foliage, fresh, dewy and fragrant red roses, ferrero rocher chocolates among them. You can have it delivered to your bae’s doorstep. Or why just your bae, you could gift this to your mom, your friend, your brother, your sister, your best friend or whoever you want to give joy to! An arrangement of 18 fragrant red roses.